Driving a vehicle is one of the most dangerous activities we do on the day-to-day. And yet, some of us do it with minimal focus. 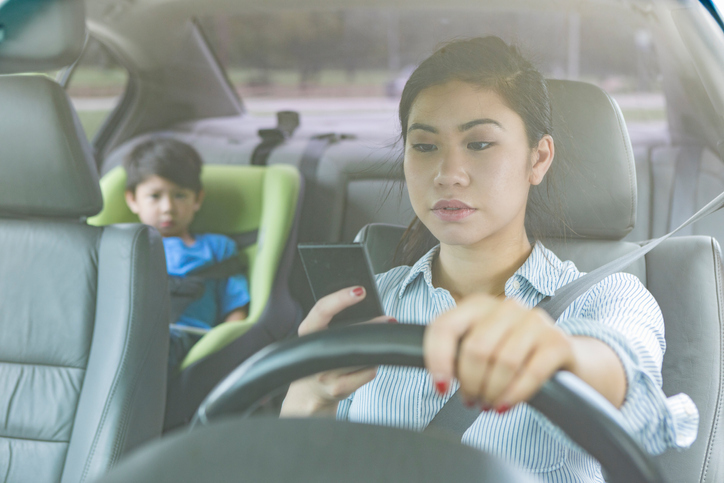 From fiddling with the radio to checking directions or chatting with the kids, we're often only half-focused on the road in front of us, which is extremely dangerous to us, our family, and other drivers. Below are a few ways to mitigate the distractions. Find your focus. Driving can be a great time to get into a zen-like state, keeping hyper aware of your surroundings. Do you focus best in silence? With classical music? A radio show or podcast? Play with a few different modes of travel to find which one puts you in the driving zone best. Leave the radio alone. Fiddling with the radio can be a major distraction. Create a playlist before you set out, choose a podcast to last the duration for your journey, and try to train yourself not to touch the radio unless you're stopped at a red light. Install an app. There are plenty of apps you can use to put your phone on driving mode. Some send a message to anyone who texts you to let them know you're driving, and it won't alert you until you've come to a stop – this can help you resist the urge of checking messages when you hear them come in. Teach the kids to stay calm. If you're the parent of small children, you know tussling or talking can be a major driving distraction. Teach the kids from a young age the importance of focused driving, and reward them for staying calm and quiet in the car. You can also make car time a special time for them to watch a favorite video or play a game, so they are engaged with their treat during the journey. Put your phone away. Never drive with your phone within reach–this makes it all too tempting to check a message or change a song. Keep it in your purse or bag, or if it's connected to your radio, stash it in your dashboard compartment as you drive. Is a Free Timeshare a Gift or a Problem?